State and Federal officials recently confirmed the presence of Emerald Ash Borer (EAB) in Essex County. The destructive beetle was detected in North Andover and confirmed by federal officials in November 2013. Unfortunately, this is the second confirmed detection in Massachusetts. In August 2012, EAB was confirmed in Berkshire County in the Town of Dalton. Currently, 22 states across the U.S. have confirmed detections of EAB. 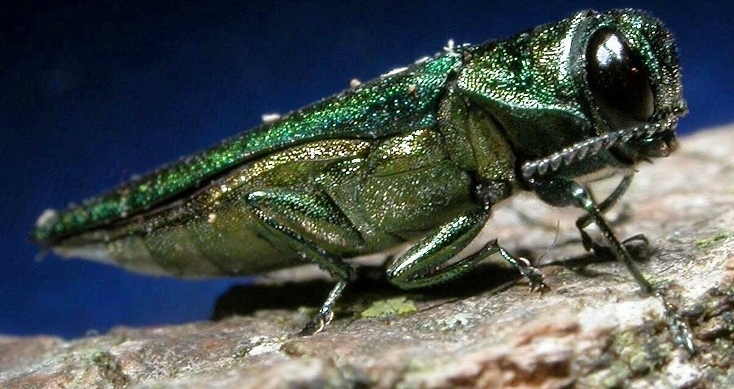 Emerald Ash Borer is a small, metallic green beetle, native to Asia, which feeds on ash trees. It was first discovered in North America in 2002, in the Detroit, Michigan area. EAB bores directly under the bark disrupting a tree’s vascular system, killing trees quickly, typically within 3-5 years. EAB has already killed millions of ash trees and caused billions of dollars in economic loss nationwide. State and Federal officials are taking proactive steps aimed at preventing the spread of EAB, including conducting a delimiting survey to help identify the current extent of the infestation, defining a quarantine area to limit the movement of certain wood products (nursery stock, lumber, firewood, woody debris, etc. 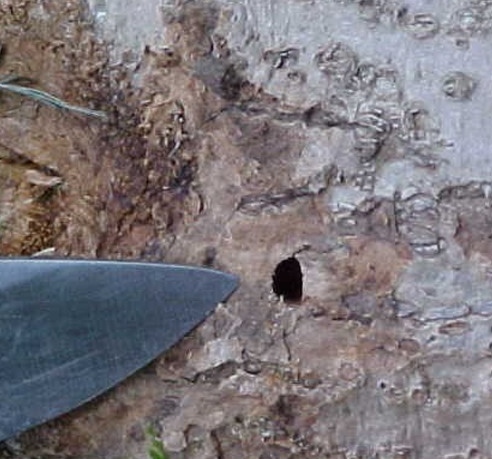 ), establishing treatment and dispose procedures of infested trees and materials, and other means of conveyance that may present risk of spreading EAB. Ash is a main component of the Northern Hardwood forest and is a common street tree in eastern Massachusetts. It is important to report any ash trees with signs of the invasive Emerald Ash Borer damage as early detection of new infestations is critical in helping slow its spread.